To book please send me your email address and I will email a booking form for you to complete. A £50 non refundable deposit is required at time of booking to secure the space. A $50 security bond is required and will be refunded after caravan is vacated and inspected. Balance is due 4 weeks prior to arrival. On your check in date I will text you when the caravan is ready for you, and will give you the code for the key safe which is located by the door. Please include the number of guests when making an enquiry. Lovely two bedroom static located at Drake in the park. It's close to all the amenities, but is a quiet location. Parking is very close by. There's a patio area with lovely views across the park, and an open grass area for children to play safely by the caravan. The static is fully equipped with all amenities, it has gas central heating and is double glazed. Book now for summer holidays, space still available. £50 non refundable deposit required to secure space, £50 bond required. Call or text 07469 985824 to book. Had a lovely stay in this caravan, very clean, well equipped and plenty of space for our family of five and small dog! In a nice part of the park not to far away from everything but far enough to have peace and quiet. Would highly recommended. We really enjoyed our stay and would return. Lovely stay in this well equipped, clean, spacious caravan. Situated close to all amenities. Would definitely recommend especially as we were able to take our dog. Lovely caravan, spotless and well equipped. Close to amenities and situated on a lovely plot. Owner very friendly and helpful. Really enjoyed our stay and looking forward to renting again! Caravan was spotless and close to amenities. Camp site is only a short journey to Scarborough. Owner very helpful and friendly. Will definitely be using again. Great situated caravan on lovely site, close to beach and only 3 miles from Scarborough. It worked well for our family of 5, with the bonus of the two toilets. Really enjoyed our stay and would definitely come back again. 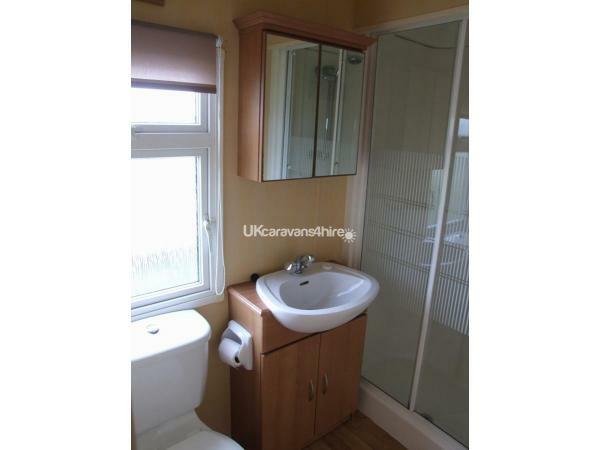 This is a lovely caravan to stay in and Louise is very accommodating. We will be back here again soon.